The Transformative Innovation Policy (TIP) Africa Hub has taken its second major step in exploring transformative change in the region. 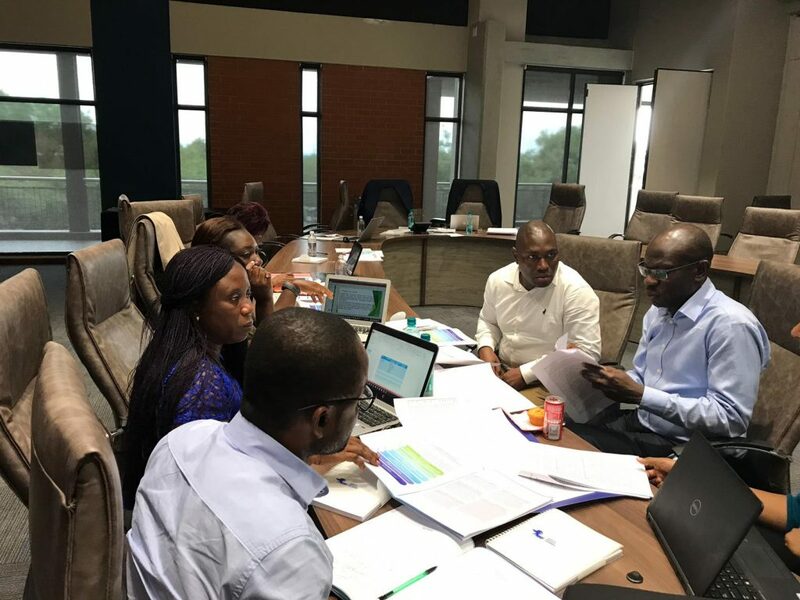 In Early February, the three associate members from Ghana, Kenya, and Senegal, along with TIPC team members and staff from International Development Research Centre (IDRC), met in Pretoria, South Africa, to discuss the exploratory work that has been done since the launch of the Hub in December 2018. From this, a case study from each country has been selected for the next stage of the exploratory work. 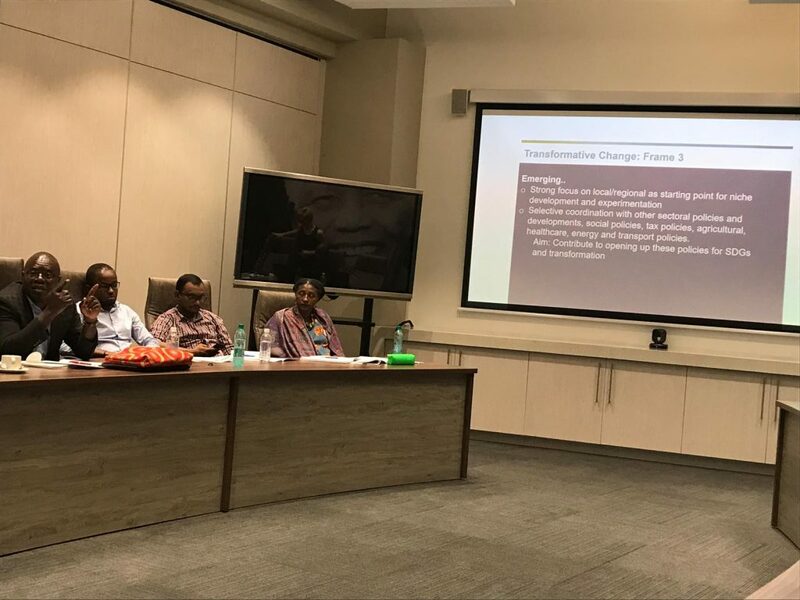 The two day workshop was hosted by the South African National Research Foundation (NRF), the TIPC member acting as a mentor to the three associate countries during this initial stage. The workshop provided a space for reflection on the work conducted so far. 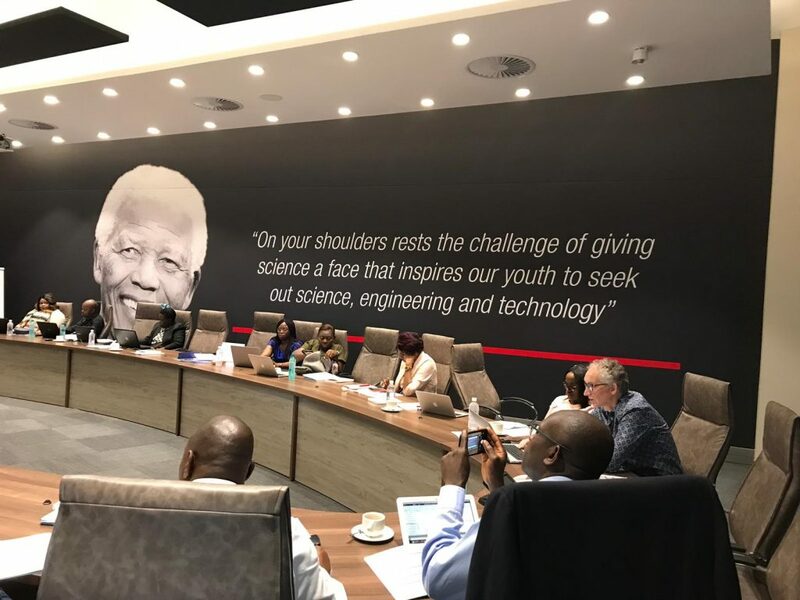 Each associate member had been tasked with identifying a shortlist of six case studies from their countries with transformative elements in their approaches to Science, Technology and Innovation (STI). With a shortlist of incredibly promising examples of innovation in local contexts, the two days were spent choosing the most appropriate case study for each country. Small groups worked transnationally, sharing insights from their different contexts and working towards mutually understood meanings of TIP. By the end of the second day, case studies had been chosen for each country. E-Waste in Ghana, which will be explored by the Science and Technology Policy Research Institute (CSIR). Nomadic Education in Kenya, which will be explored by the National Commission for Science, Technology and Innovation (NACOSTI). ICTs and Higher Education in Senegal, which will be explored by the Cheikh Anta Diop University of Dakar. These case studies will form the basis of a Transformative Innovation Learning History for each country, which will be conducted over the next stage of work until June 2019. The Learning Histories will enable the Hub to further understand how transformative change occurs at a localised, niche level, as well as reflecting on how such niches could have wider impact for systems change. The Hub will meet again in June in order to review the Learning Histories and share insights, challenges and successes from each case study. The Hub is funded by IDRC and will work closely with the Science Granting Councils Initiative (SGCI), a flagship initiative supported by IDRC in partnership with the UK’s Department for International Development and South Africa’s National Research Foundation. This will enable a wider regional network of transformative innovation policy, and deepen shared understandings of TIP in Africa. 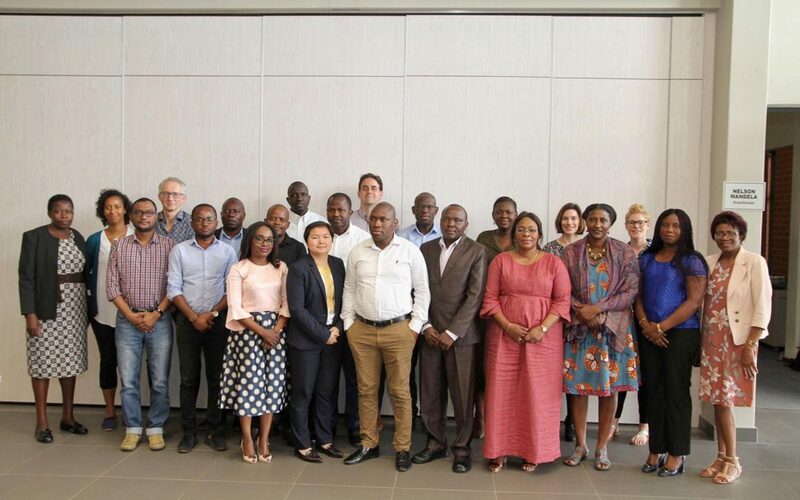 Matt Wallace, Senior Programme Officer at the IDRC, said, “The workshop in Pretoria bought together a diverse set of participants from across the continent. They demonstrated expertise, enthusiasm and a commitment to deepen our understanding of STI policy for transformation. We’re proud to see the project going full steam ahead and making the right linkages to SGCI”. Sarah Schepers, Programme Director said, “The workshop brought together an incredible group of policymakers across the region and it was inspiring to see how they worked. The case studies that were picked demonstrate the variety and innovativeness of some of the work that is being done here at the moment, and I am looking forward to seeing what we learn from them”.